RN4Life I joined to find someone local that I can connect with and possibly be friends with, then see where it goes. VA is home because of work. And I work at the best place ever with the best job ever! --I am a registered nurse. Does jin0514 belong in this group? RVA Lived in VA all my life. BTW, a gay transguy is an FTM who likes men, just to clarify. 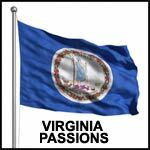 My Mountain Home I am a Virginian born and raised. I have traveled across the US but VA is always the place I long for and crave to come back to. I've never been as homesick as when I was stuck in Arkansas! I literally wept to see my home again. I never want to leave Virginia ever again. Does avidreaderva belong in this group? Does bcwhite99 belong in this group?